French Flag image for printout, free download and activities for students. 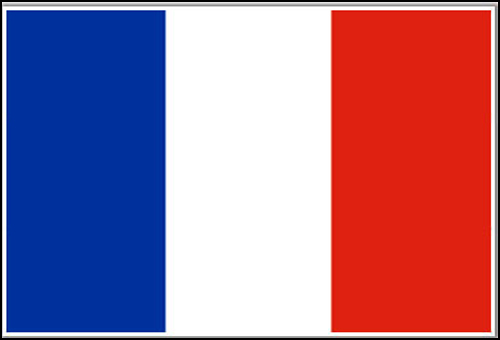 The French flag consists of a vertical tricolour of roya blue, white and red. The official French flag was adopted on 15 February 1794, Napoleon army flag on 1812 and Readopted July 1830.